The rats keep leaving the sinking ship of the S.S. Scott York! Republican State Delegate and prominent developer attorney Randy Minchew, who has been a huge proponent of the useless and wasteful (but very popular with developers) North South Corridor i.e. Outer Beltway, has nonetheless joined other Republicans rushing to disassociate themselves from Loudoun Board Chairman Scott York (R)’s recent over the top threats in support of the project. 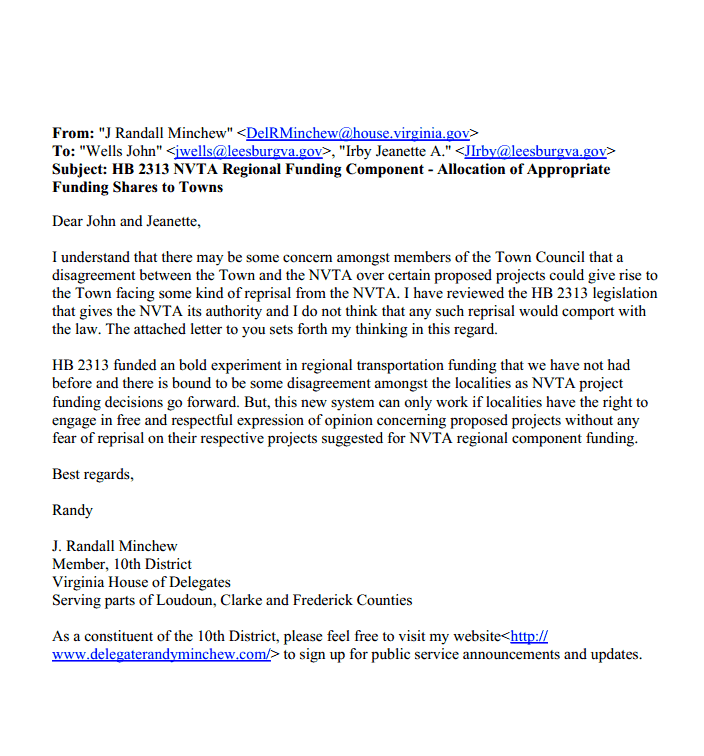 York had issued a crude threat to the Leesburg Town Council, warning them that if they dared to go on record expressing their opposition to the Outer Beltway, he as a member of the newly established Northern Virginia Transportation Authority (a state body created to dole out road dollars in our region) would retaliate by cutting off funds for any of Leesburg’s needed road projects — suitable retaliation, he declared, if the council behaved in an “anti-road” fashion. Minchew seemed to wobble for a few days after York’s godfather routine, but has now written to Leesburg’s town manager and town attorney assuring them that York’s threats of reprisal are illegal — as well as inimical to the “the free and respectful expression of opinion” localities have a right to engage in as part of the process.